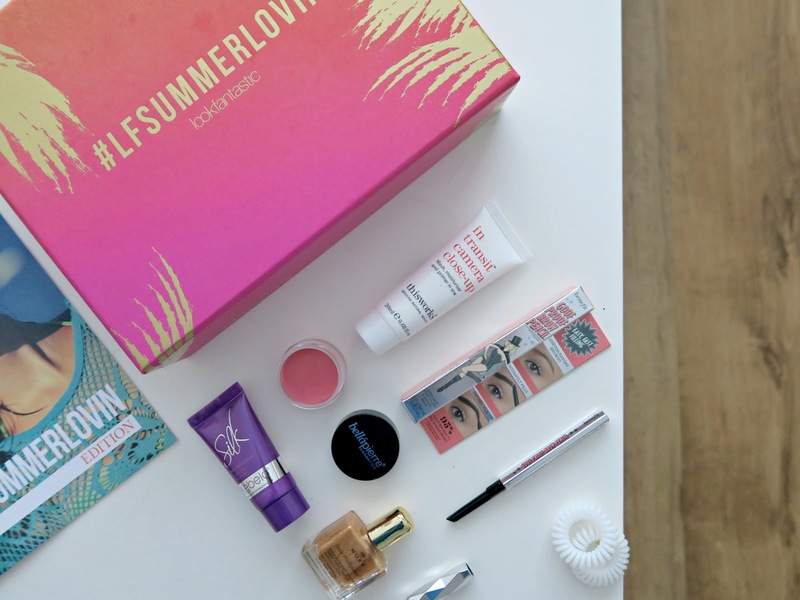 Every time I see the latest Look Fantastic Beauty Box I always have to mention how much they have evolved from that boring black box they used to come in. Once again the LF team have delivered a beautifully presented box, packed full of lovely goodies. Okay, we have got some of the usual suspects such as the NUXE Oil, which I think I must have about 12 litres of in these mini bottles in my hoards, but take a look at the other goodness before you judge. Not only do we have Victoria Beckham’s favourite in the form of the This Works In Transit Camera Close Up, which is a triple whammy of being a mask, moisturiser and primer in one – but we also have a brand new Goof Proof Brow Pencil from those cheeky chaps over at Benefit. You will have seen over on my YouTube video about the new Benefit Brow range, that I wasn’t too enamored with the Goof Proof Pencil I reviewed. Mainly because of the shade. It was completely wrong for me (being a shade 3) and the Shade 6 that comes in this month’s LF box is MUCH better. Using it to fill in the gap in one of my eyebrows before I use my brow powder is the perfect solution for my daily brows. This months box also contains a pack of 3 Invisibobbles, a Kebelo mini and Bellépierre lip and cheek tint, which is a lovely shade of pink. Not only that, but you get the standard Beauty Box Magazine, alongside this months copy of Elle. Good, huh?